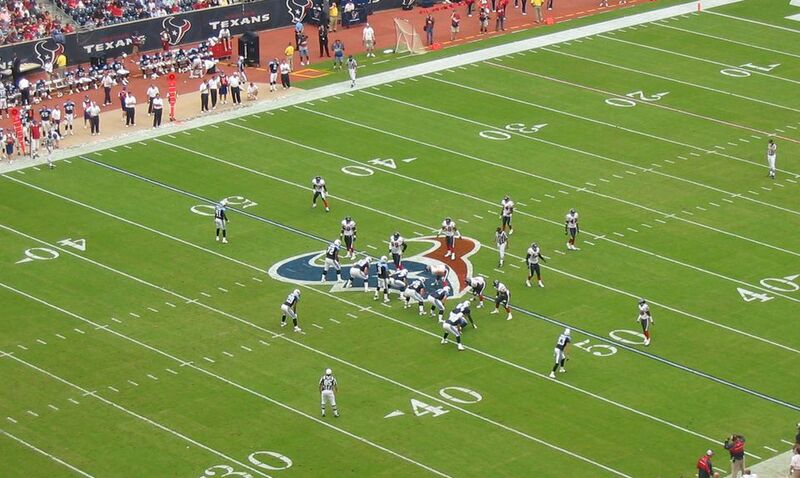 Texas is home to two NFL teams – the Dallas Cowboys and the Houston Texans. Each fall, thousands of football fans visit the Lone Star State to attend NFL games. Some are out-of-state fans of one or both of these teams, while others are fans of the teams playing against either the Cowboys or Texans. But, for fans of Texas’ NFL teams – or just general football fans looking for a football-themed visit to Texas – there is no need to wait until the regular season games begin to catch a glimpse of NFL players and teams. Although the Cowboys will conduct their 2016 training camp sessions in Oxnard, California, the team will return to Dallas for their second preseason game versus the Miami Dolphins on August 18. The team will remain in Dallas for the remainder of their preseason practices, eventually traveling to Seattle for their third preseason game before hosting Houston in the final preseason game on September 1. Fans not only get an opportunity to see two preseason games in Dallas this year, fans taking a AT&T Cowboys Stadium tour are able to watch the Cowboy practice sessions as well – not just during preseason, but during the regular season as well. Unlike the Cowboys, the Houston Texans will remain in their home city for the duration of their training camp. The 2016 Houston Texans Training Camp will take place at the Houston Methodist Training Center. Rookies begin training camp July 25. Veteran players start on July 30. Six of the Texans training camp sessions this year will be open to the public. So, fans will not only have the opportunity to see the Texans practice during training camp, they will also be able to attend a pair of preseason games when the Texans host the New Orleans Saints Saturday, August 20 and when the play the Arizona Cardinals on Sunday, August 28. While in town, fans can also go on a tour of NRG Stadium, the Texans home field. Once the regular season gets underway, fans of both teams will have numerous opportunities to watch their team live, including a few prime time games. Both teams open the regular season at home on September 11 – the Cowboys hosting their division rival New York Giants and the Texans hosting the Chicago Bears. The Cowboys will play their first prime time game of the season when they host Chicago on September 25. Dallas will have two other home prime time games this season – Sunday, October 30 against the Philadelphia Eagles and Monday, December 26 against the Detroit Lions. And, of course, Dallas will host their annual Thanksgiving Day game – this one against the Washington Redskins on Thursday, November 24. The Texans actually play five of their first eight games at home, including a prime time tilt with their division rival, the Indianapolis Colts on Sunday, October 16. Houston will host one other prime time game during the 2016 season, a Thursday night home game against the Cincinnati Bengals. All told, each team will host eight games this season, not counting preseason and playoffs, giving fans numerous opportunities to attend a game. Whether coming to watch training camp, practice sessions, pre-season or regular season games, each of these cities offers visiting football fans plenty to see and do away from the field, as well as a great deal of good hotels conveniently located in close proximity to the football stadiums and other attractions. While in Dallas, football fans often popular attractions such as Six Flags theme park and Billy Bob’s over at the Ft Worth Stockyards. Football season also coincides with the annual State Fair of Texas, which takes place throughout September and October and is the host event for perhaps the most popular football game in Texas – the Red River Rivalry between the University of Texas and University of Oklahoma. As far as where to stay, the Holiday Inn Arlington, Courtyard Dallas/Arlington/Entertainment District, Sheraton Arlington Hotel, Executive Inn Arlington, and Days Inn Arlington/Six Flags/AT&T Stadium are all located less than a mile from AT&T Cowboy Stadium. Those heading to Houston to see the Texans can visit NASA, the Houston Zoo, Downtown Aquarium and/or the San Jacinto Monument. The ever-popular Texas Renaissance Festival also takes place throughout much of the NFL season. Hotels close to NRG Stadium include the Holiday Inn Houston – NRG/Medical Center, Crowne Plaza, and SpringHill Suites Houston Medical Center/NRG.